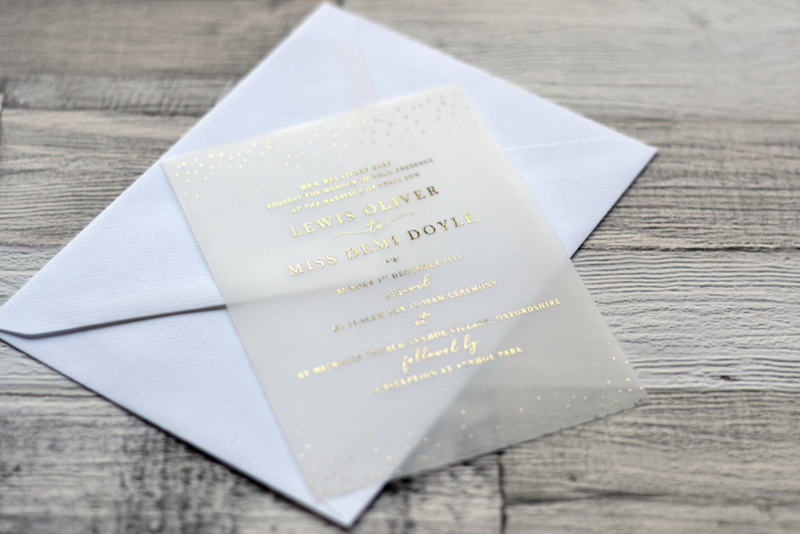 This stunning wedding stationery range features foiling, vellum and an elegant design which would suite any wedding. Available on white silk card or vellum, or why not go for a mixture. Available with a choice of foil colours including gold, silver, copper and rose gold.This design is really adaptable, dont like the drops? We can take them off. 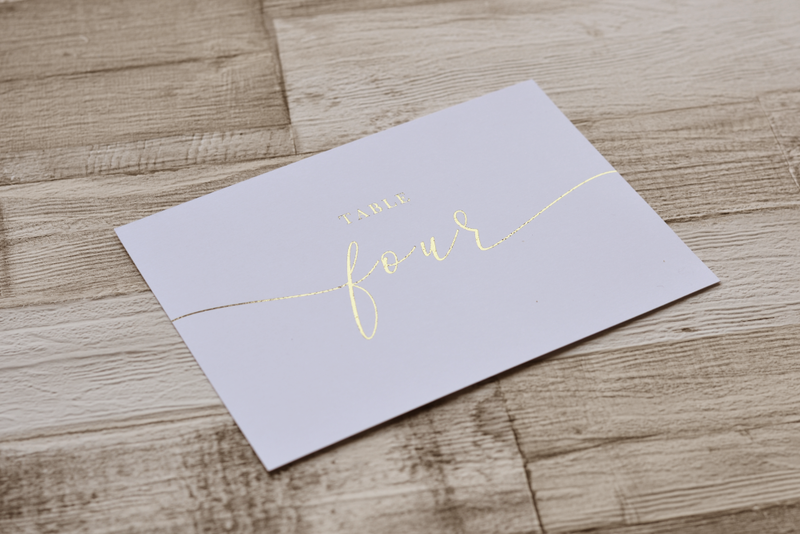 Want to mix printed and foiled details? Not a problem. 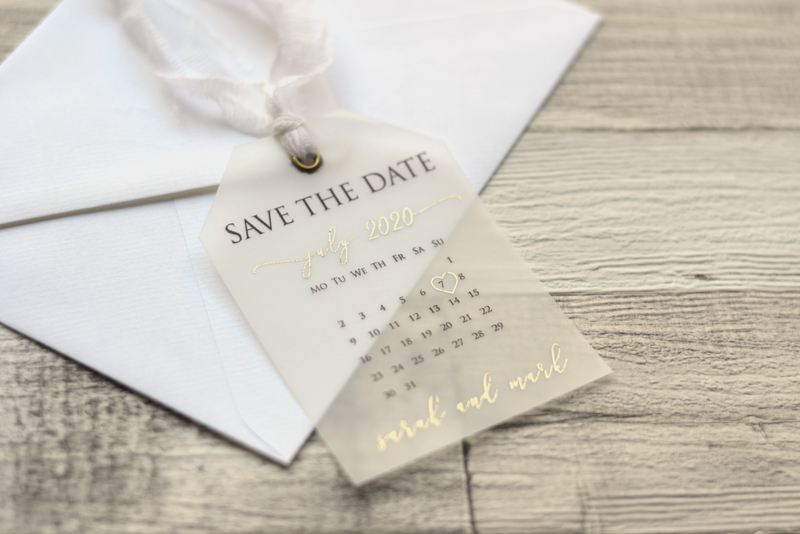 Firstly the save the dates can be adapted to suit any of our styles, flat card, pencil us in and luggage tags. Next are the invitations which can be made into our flat or pocketfold styles. With layers of vellum and card, i love the versatility of this design. Why not add deckled edges or wax seals? Finally, the on the day stationery matches the rest of the range perfectly. From table numbers to place settings, menus to table plans, we’ve got you covered. Due to the bespoke nature of this range, the easiest thing is to GET IN TOUCH with your requirements and we can go from there!